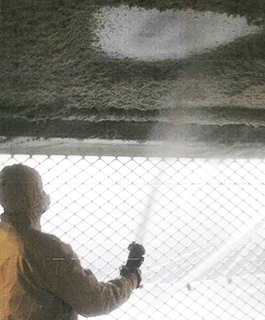 DAUSSAN produces spray-on mineral-wool or lightweight aggregate based coatings for the fire protection of the supports of a structure: pipes, steel, concrete, and wood structures. 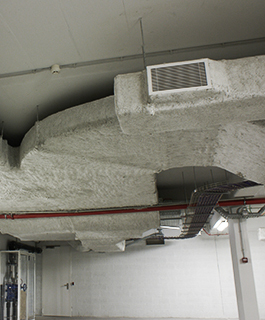 DAUSSAN produces a light mineral-wool-based spray-on coating for the thermal and acoustic insulation, acoustic correction, and fire protection of concrete. 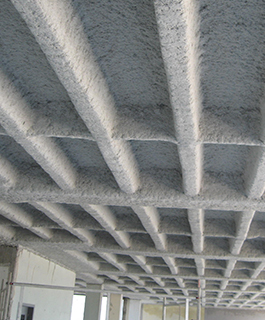 Daussan proposes a line of primers/glues to strengthen the bond of Dossolan sprayed fibres on concrete and steel substrates, plus a finish coating.